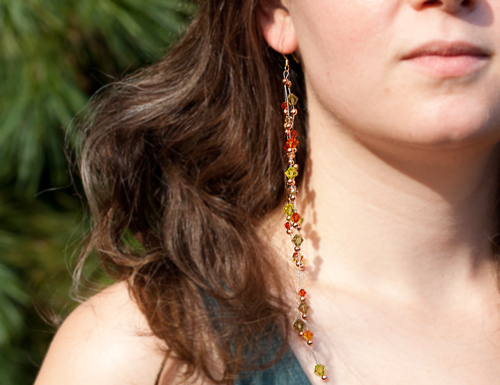 These fun and trendy earrings are easy to make and add sparkle to any outfit. Using a variety of Czech Firepolish and Swarovski Bicone beads, crimp tubes, crimp covers, ear wires and Soft flex beading wire, you can follow the instructions below and make your own pair! 1. Cut 2 pieces of softflex wire for each earring. Between 6-8 inches is best. 2. 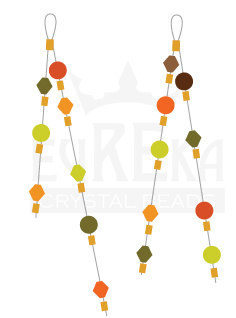 For each wire piece: thread a crimp tube to roughly the center of the length. 3. Take one of the wire ends and tread it back through the crimp tube creating a small loop. This will be were the ear wire will be attached. 4. Crimp the tube. 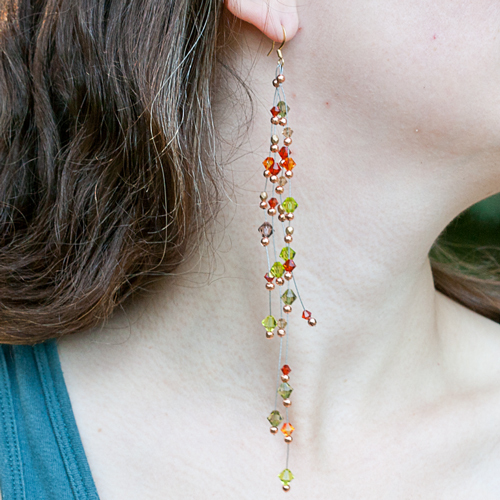 Make 2 (or more for a fuller look) of these for each earring. 5. 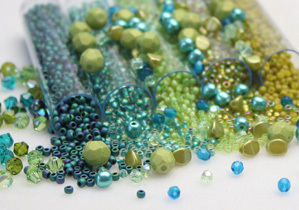 For each wire end ( you should have at least 4) select between 4-8 beads and thread then on with a crimp tube between each bead. As you thread you can crimp the tube to stop the bead above it exactly where you want it to stay. 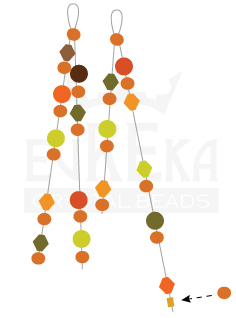 To create a organic look vary the spacing between each bead. 6. Once everything is in place cover each crimp tube with a crimp cover. 7. Take the finished elements and attach them to an ear wire. For this project we were inspired by the Fall season so used lots of warm browns, golds and greens and fiery oranges. We used copper crimp covers to tie it all together. 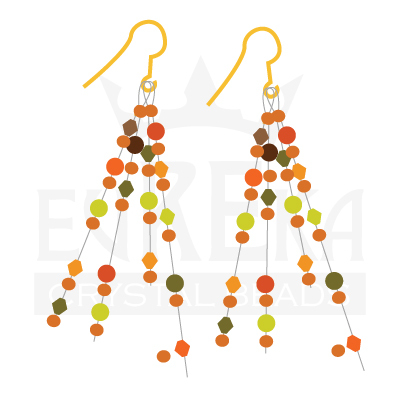 Remember: veriety is the spice of life so mix it up and use Firepolish Czech beads as well as Swarovski Bicones. Also, don’t forget to play with different sizes.